Mouth guards protect your teeth and gums from injury while playing contact sports. 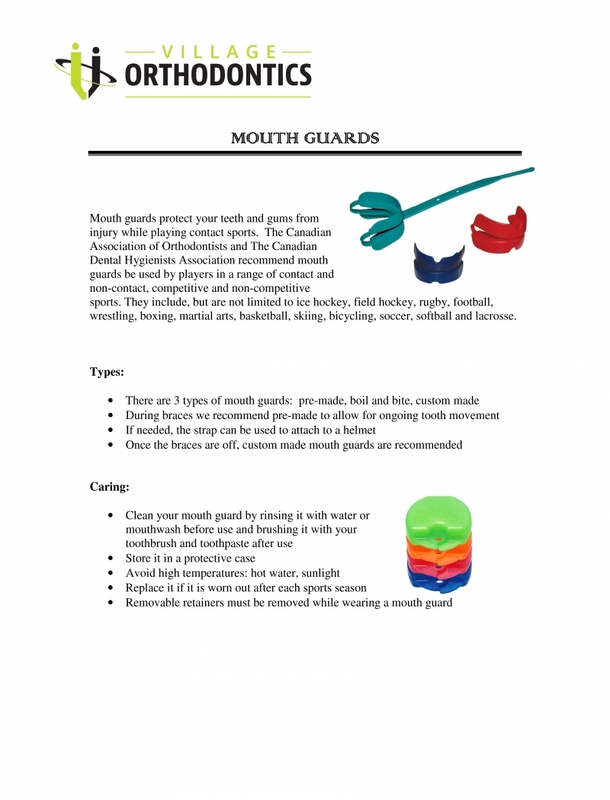 The Canadian Association of Orthodontists and The Canadian Dental Hygienists Association recommend mouth guards be used by players in a range of contact and non-contact, competitive and non-competitive sports. They include, but are not limited to ice hockey, field hockey, rugby, football, wrestling, boxing, martial arts, basketball, skiing, bicycling, soccer, softball and lacrosse.